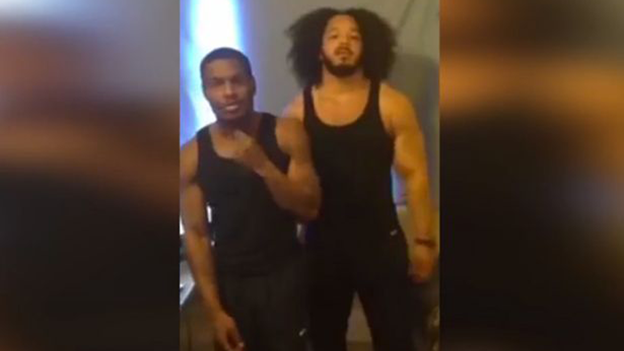 A judge has handed nine-month jail sentences to two prisoners at HMP Birmingham who starred in a three-minute rap video recorded behind bars on an illegally-held mobile phone. Moysha Shepherd and Demehl Thomas, who appeared in court via a videolink, sniggered as a judge said he did not want to waste time watching their rap duet. The defendants, both 25, pleaded guilty after becoming the first ever inmates to be charged with making an unauthorised sound recording in prison. Father-of-six Shepherd, formerly of Hamstead Road, Handsworth, was charged with breaching the 1952 Prison Act in September while serving a five-year sentence for dangerous driving and involvement in a prison van break-out plot. Thomas, previously of Vernolds Croft, Highgate, was serving a seven-year term for aggravated burglary. After the men admitted making the illegal recording between August 1 and 16 this year, prosecutor Peter Grice told Birmingham Crown Court the video was the subject of a national newspaper report on August 17. Judge Patrick Thomas QC was then asked by Mr Grice if he would like to watch the video before passing sentence. The court heard that a third unknown inmate had recorded the musical video, which contained nothing which could be considered grossly offensive. Geraldine Toal, mitigating for Shepherd, said of the footage: “I have seen it twice. It’s simply a rap video. Judge Thomas told the amateur rappers that illegal possession of mobile phones could be “highly disruptive” and have serious consequences for prison security. The judge added: “No great crime seems to have been committed by you in respect of that mobile phone above and beyond the possession of it. Detective Constable Jim Farrell, from West Midlands Police prison-based team, said the sentencing would hopefully deter others from doing the same. He said: “These two inmates defied prison rules, and the decision to take them to court shows this kind of behaviour will not be tolerated. “These individuals showed a blatant and deliberate disregard for the law which is there for a reason . “It is there to minimise the potential for a camera or recording device being used to produce images or sound which can then be transmitted to people outside the prison and possibly compromise security or pose a threat to the safety of prisoners and staff. G4S Director for HMP Birmingham, Pete Small, said: “Today’s sentence sends a strong message to prisoners who think they can brazenly break prison rules without consequences. 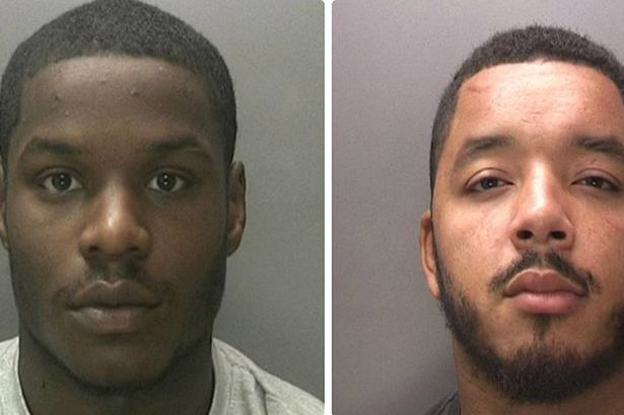 “While these men were put onto the most basic prison regime at the time, I am delighted that West Midlands Police also brought charges and they now face additional time behind bars.